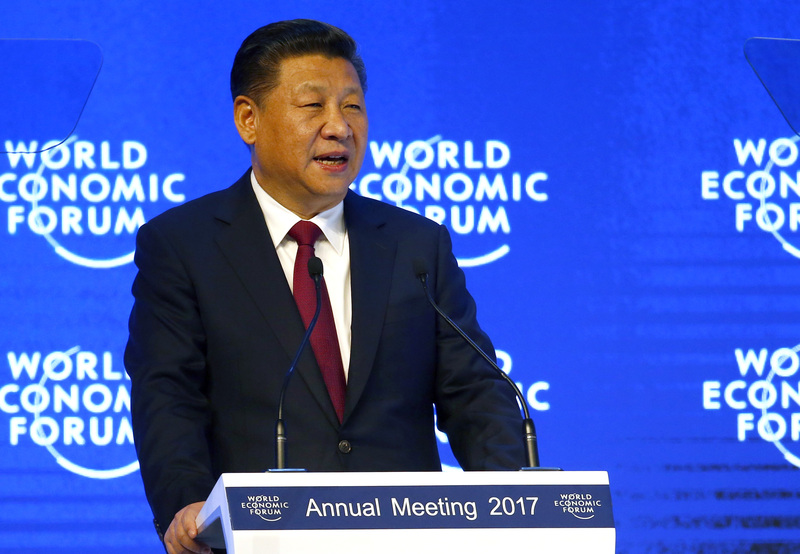 There is "no point in blaming economic globalisation for the world's problems," Chinese President Xi Jinping told the World Economic Forum in Davos, the Swiss ski resort, on Jan. 17. Xi told the annual gathering China had no intention of devaluing the yuan, and said no one "would emerge as a winner" in the event of a trade war. Senior Chinese figures such as Prime Minister Li Keqiang and predecessor Wen Jiabao have previously addressed the annual gathering of the world's financial and political elite. This is the first time the leader of the People's Republic of China has attended.